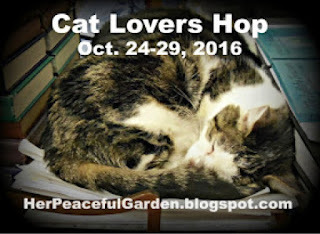 I wasn't sure I would finish in time to enter their 2016 Cat Lovers Blog Hop hosted by Janis over at Her Peaceful Garden. I'm not entirely assured I made the deadline despite being able to use the linkup. 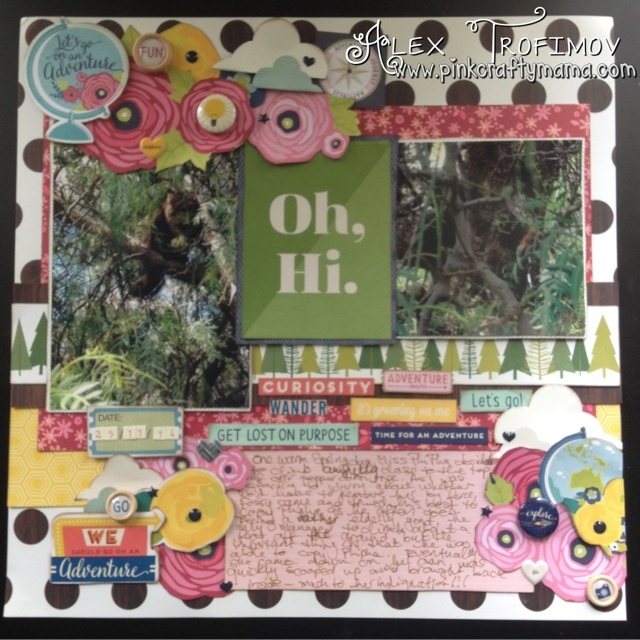 A migraine all weekend hasn't been kind, so I had to combine my entry for this Blog Hop along with one of the challenges on Shimelle's blog going all weekend since she's having an online scrap booking party. Challenge 05 was all about the outdoors, but I'm getting ahead of myself. I'll come back to that part soon. I had a great idea for a card, but if I had implemented it and then attempted to make a layout for Shimelle's challenge, I wouldn't have finished both. 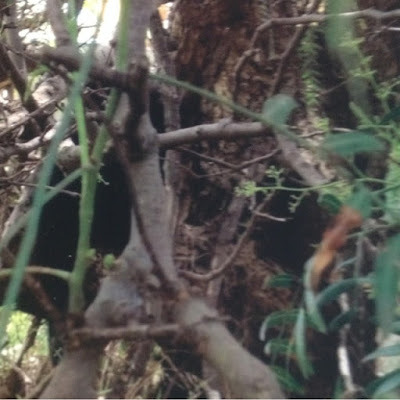 Fortunately, I had two photos and a story to tell which involved cats and was outdoorsy so challenge 05 would be the one. The challenges are open all week. But finishing one today has a little bonus in store! Guest artist Helen De Ram presented this challenge and it was about getting the great outdoors scrapped in bright colours. I'm all for colour so off I went. I loved her layout and it had some aspects I don't normally do like that section of word stickers to fill in the centre, but I decided to be brave and try it. I decided to attempt to use just supplies from Shimelle's collections (in a vain hope to make things easier by limiting supplies) and to include at least something from each collection - I even managed some B-Sides from her christmas collection (I don't celebrate christmas, but lots of the b=sides were so lovely!). A few close ups...you might be able to decipher a word or two of my writing if you look hard enough!! PhiPha aka Ophelia aka Crafty Cat is feisty and sassy and frequently explores the roof despite her...rather...ample physique. Poor Fossy was 14.5 years old when these photos were taken, and I don't recall him ever being an avid tree climber, BUT if PhiPha does something, he refuses to be outdone. 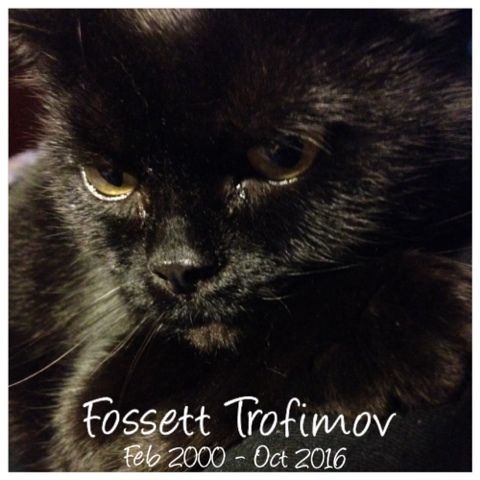 Sadly, Fossy passed away early this month, so I wanted to make a layout about him, but not sad stories. So what happens the morning after the dust from the craftnado has settled? You survey the craftermath and briefly consider some sort of salvage operation. you soon come to your senses and add stuff to the layout - a couple more words to the middle area and some enamel shapes to each embellishment cluster. I had better get it into the album before I do anything else!! What a wonderfully fun layout, and such a typical cat pose, up in a tree! 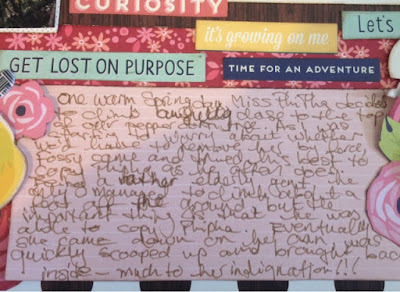 I love all the bright layers and shaky handwriting or not, at least you journaled. 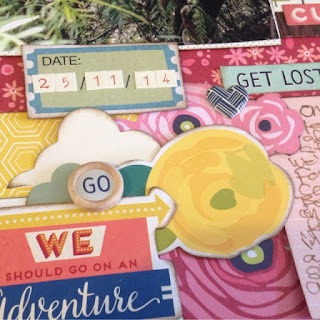 I admit that I leave my journaling to last and still have layouts without it. Hope you are feeling better soon..and thanks for sharing! Thanks for your comment, Karen! I'm glad I'm not tho only one. 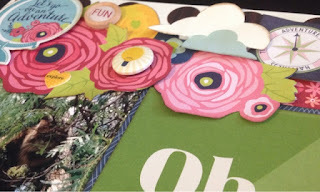 I'm still fine tuning the blog post, so I hope it wasn't too strange when you visited! Thank you for visiting, Arianna! A beautiful, colourful layout, Alex, with so many little details and embellishments to look at. It tells a lovely story too - we all want to feel a few years younger, don't we? Both PhiPha and Fossy are very beautiful cats - so sorry to hear Fossy passed away recently. This is a lovely keepsake of happy times. Thank you, Carole for your beautiful words. I have lots more cat stories to tell - not just about those two, but Foss had a mother and brother also. Thanks, Bad Kitty! I love your nickname! Bright and colorful layout and your kitty is the CUTEST! Thanks for visiting. Michele. I really appreciate it. Oh my gosh Fossy is just BEAUTIFULLY black! A heartfelt sorry for his passing..he looks so loved. Love your LO, its a perfect way to catch precious memories! 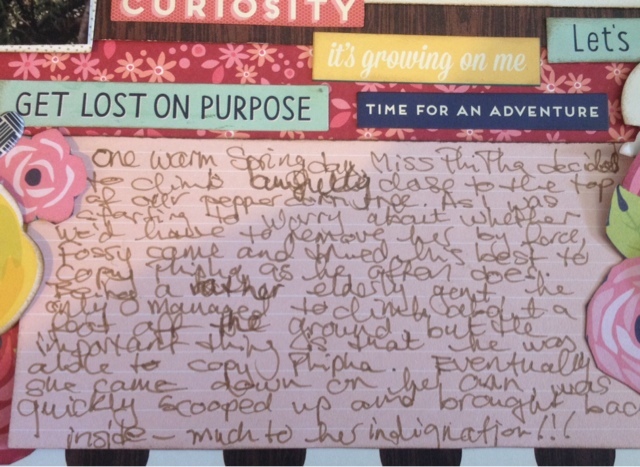 What a fabulous story too! So sorry you just lost your beautiful fur-baby. Please accept my deepest sympathies - cats are members of the family and the loss is a hard one. Your page is beautiful and such a nice way to honour your Fossy's memory. I think my kitties would love to get outside and climb trees - we have to keep them indoors here - we live in a rural area and there are too many dangers outside. Glad you were feeling well enough to join the hop - this week has been a lot of fun! Thank you SO MUCH. They definitely are family members for us too. I have lots more cat antics to make layouts of and it's easier than the sad stories. Thank you for visiting! Ophelia is a torbie (tortie with tabby markings) and Fossett's mum Jasmine was a tortie Persian and both these girls have tortitude in a VERY big way, but we love them feisty! I'm a migraine sufferer so I can relate. Hope you're feeling better! My jaw and neck tend to trigger migraines lately. 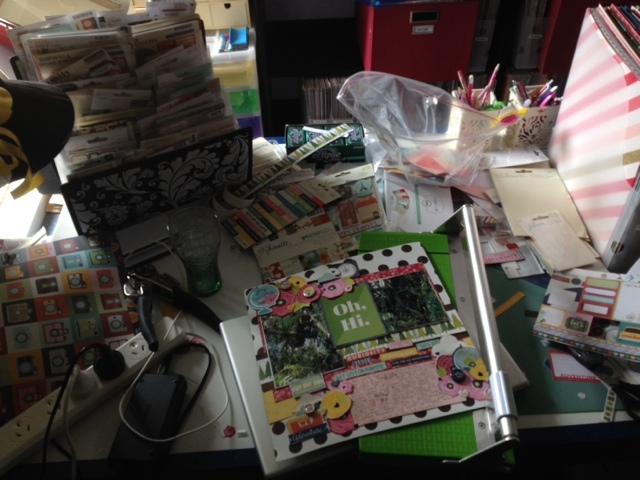 Crafting with one was not as much fun as it should be. 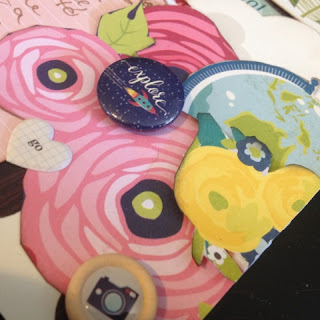 I plan to experiment with hidden journalling since I have a few stories I'd prefer not to be easily read. I'd love to see your ideas. 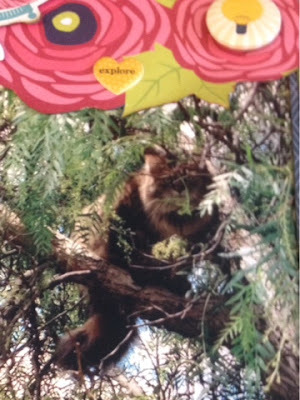 What a great layout and I love that kitty perched in a tree surveying the world. She's one crazy kitty! I couldn't believer how high she got. I had concerns of the branch breaking under her...ahem...weight! I like your happy layout. sorry about Fossy. We lost a cat this year too. I'm sorry for your loss too, Sue. Foss is the third we've lost and while it never gets easier, we had plenty of time to prepare since he was sick for a long time. Thank you Christi! He was small, but sleek and black. If you're familiar with Tom Cox, his face looked a lot like The Bear and he was VERY bossy and "sweary" like Shipley! Gorgeous, gorgeous cats!!! Oh, my...what a wonderful LO of a beautiful memory of the two of them together!!! Thank you so much for sharing the story with us. I am so sad to hear of you losing your sweet Fossy. We lost our Aliyah a few months ago. So hard to say goodbye after that many years of purrs and snuggles. She is the striped and white kitty I put on this year's Hop Badge...showing her napping on my piano. Good memories. Thank you so much for participating in the 2016 Cat Lovers Hop!! !